STOLEN!!! 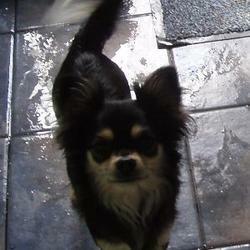 Chihuahua Kizzy 4yrs old. Black and tan @ 6lbs in weight. Stolen 26th Dec. Any help no matter how small, Im heartbroken.